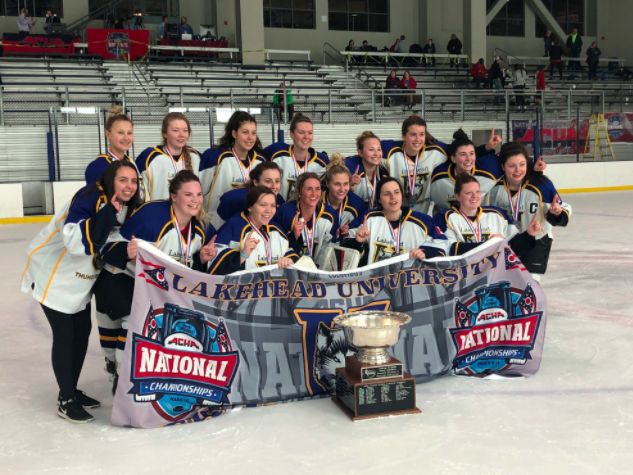 The Lakehead women’s hockey team won the ACHA D2 National Championship today with a 5-1 victory over Minot State in Columbus, Ohio. 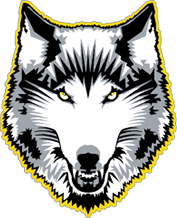 Throughout the tournament, the Wolves once again dominated the competition and after a 4-3 semi-final win over Bishops, Lakehead confirmed their spot in the finals against Minot State. After a scoreless first period, the Thunderwolves picked up their first goal in the second to give themselves a 1-0 lead. Minot tied it up later in the period but the Thunderwolves carried on to score 2 more in the second and 2 in the third period to take the National Championship title. Michelle Carlson had 3 goals and Alexandra Sawyer and Azia Vass both had one. This is the Thunderwolves second consecutive ACHA D2 National Championship.